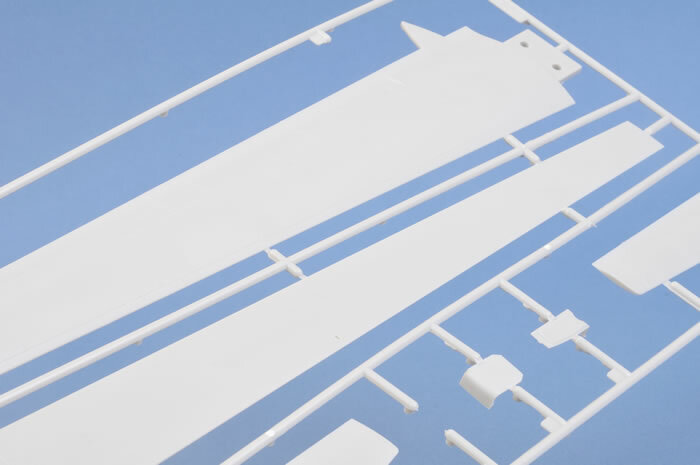 Contents and Media: 62 parts in light grey plastic. Markings for two aircraft. Price: USD$39.99 plus postage available online from Lucky Model. 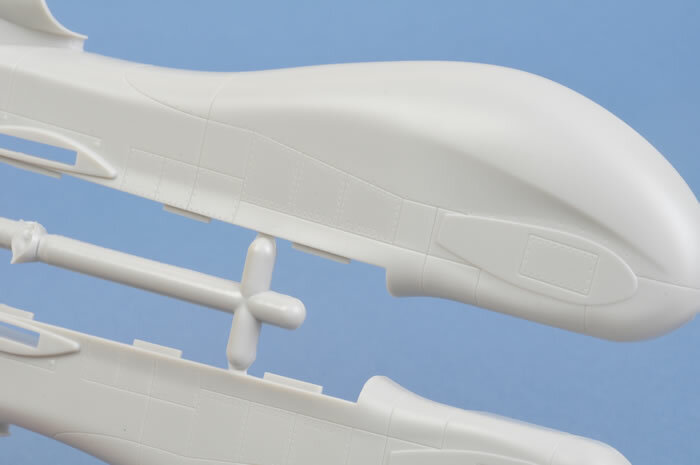 Advantages: First injection-moulded model of a Global Hawk in 1/48 scale; high quality moulding; nicely recessed surface details; delicate detail including engine fan and turbine exhaust; simple parts breakdown and assembly; excellent decals including stencil markings. Conclusion: Skunkmodels Workshop has delivered a nicely detailed 1/48 scale Global Hawk. 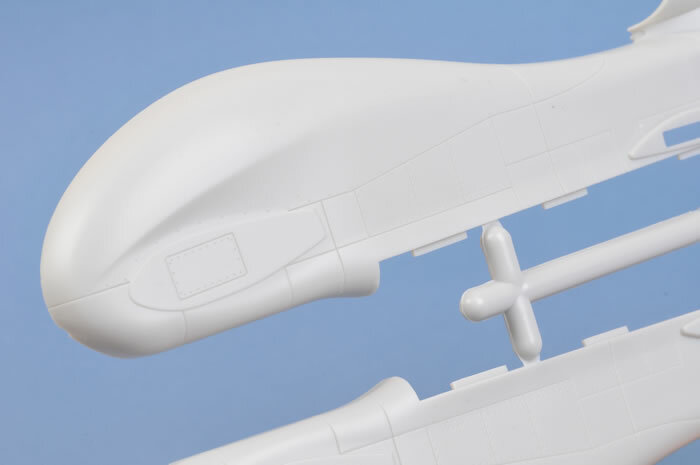 It is a surprisingly large model with a wing span measuring more than 80cm, but will be a fast build. 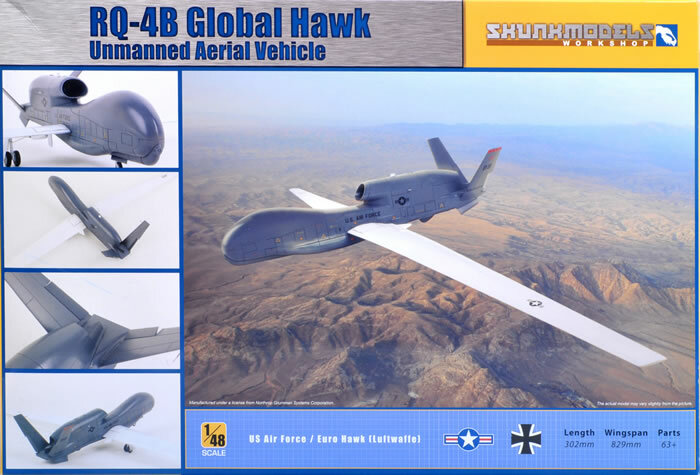 The RQ-4 Global Hawk concept is a logical extension of the short-range unmanned RQ-1 Predator. The Global Hawk is also unmanned but is much larger, capable of high altitude, long distance flights. With an endurance of 32 hous and a cruise speed of 635km/h, this is an impressive machine. 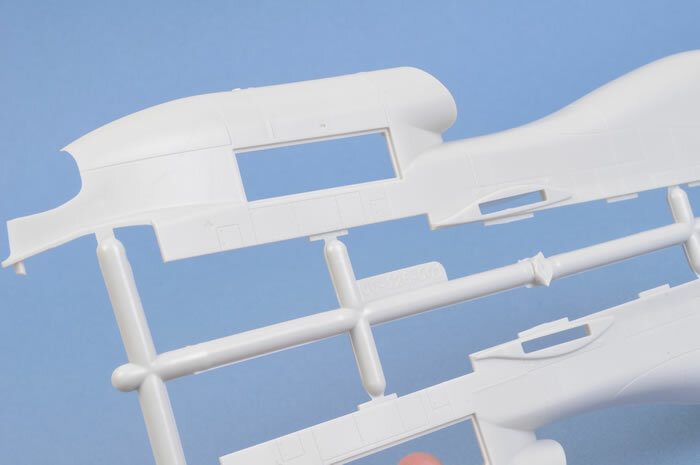 Skunkmodels Workshop is the first model company to produce the RQ-4B as an injection moulded kit in 1/48 scale. 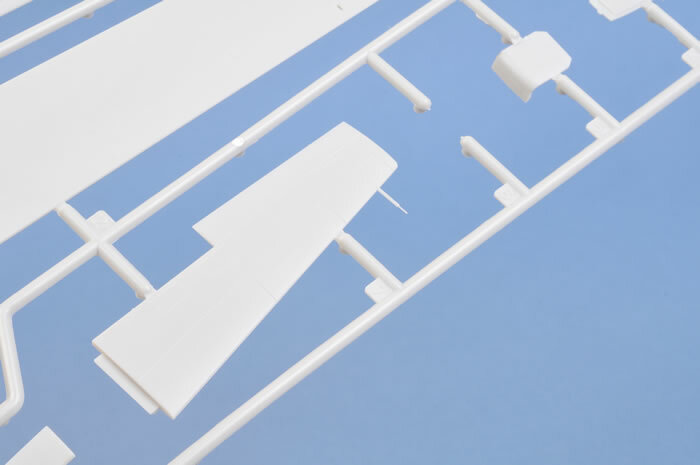 Skunkmodels' 1/48 scale scale RQ-4B comprises just 62 parts in pale grey plastic and markings for two aircraft. The first impression upon opening the box is that this model is big! 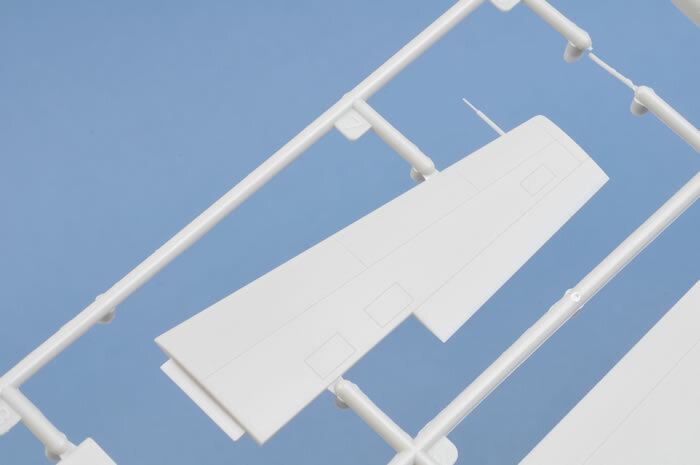 The wing span is 82cm - bigger than many 1/48 scale bombers. Moulding quality is very good. The panel lines are recessed. Overlapping panels, such as the bottom rear fairing, are accurately depicted as slightly raised from the surrounding plastic. Don't sand these flat! Detail is very good too, although with no cockpit it is limited to the engine with fan and turbine exhaust detail plus well-rendered undercarriage legs and wheels. Tiny antennae are also provided for the fuselage and wings. 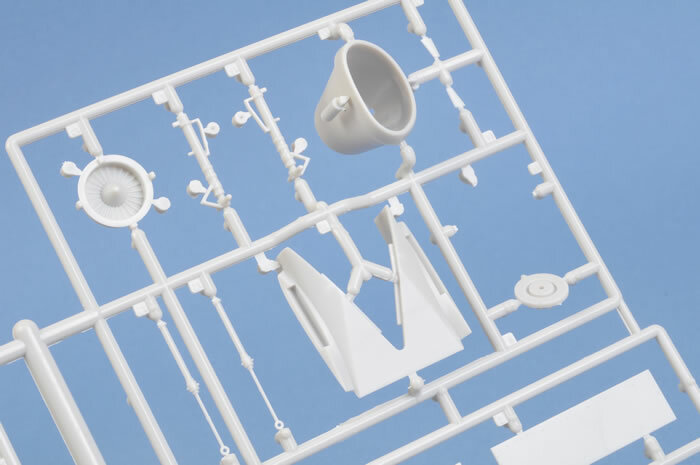 With only 62 parts, the kit breakdown is simple. 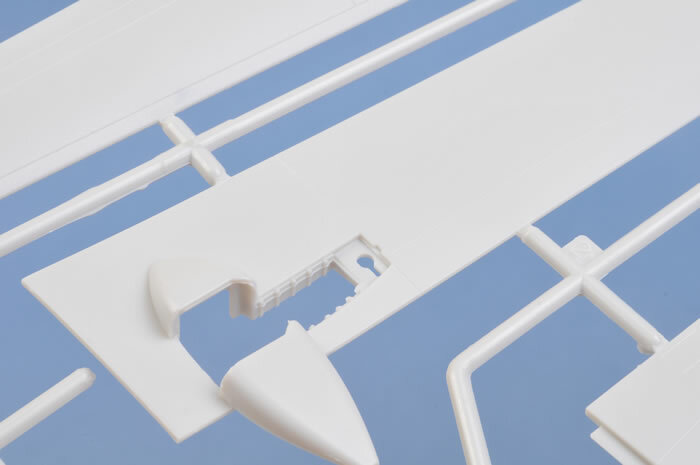 The fuselage is supplied in left and right halves, plus a bottom "canoe" section. The long wings are each made up from a top half with integrated leading and trailing edges and an insert for the bottom. The rudders are provided as separate parts. 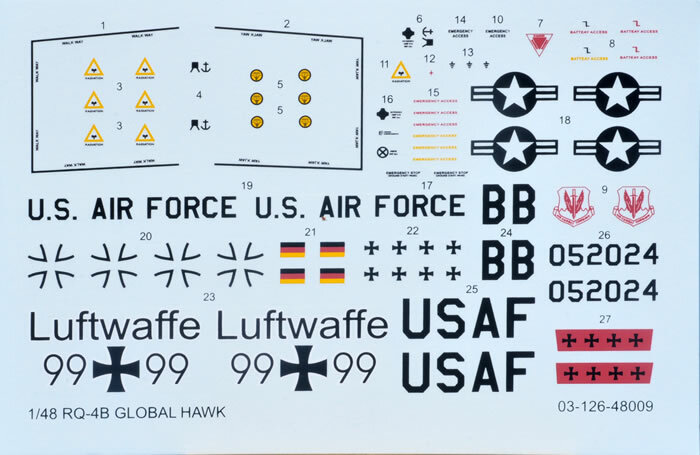 Markings are called out for two aircraft - one USAF and one Luftwaffe. The decals are perfectly printed, glossy, in register and feature minimal carrier film. Skunkmodels Workshop has been busy with weapons and deck vehicle projects, but this is their first full aircraft model. 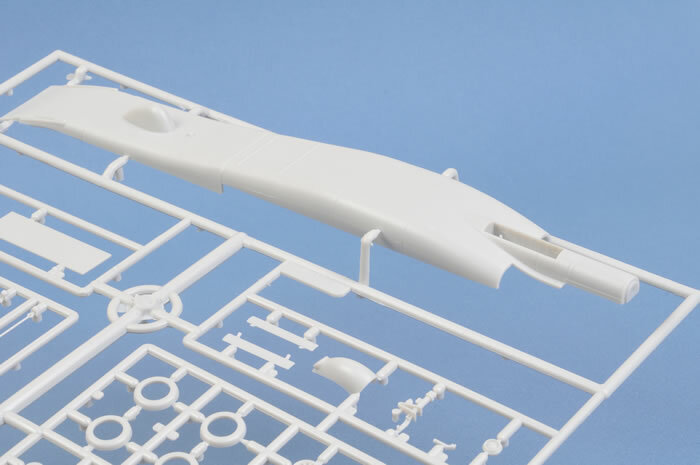 This debut offering is well detailed and should be fast to build. 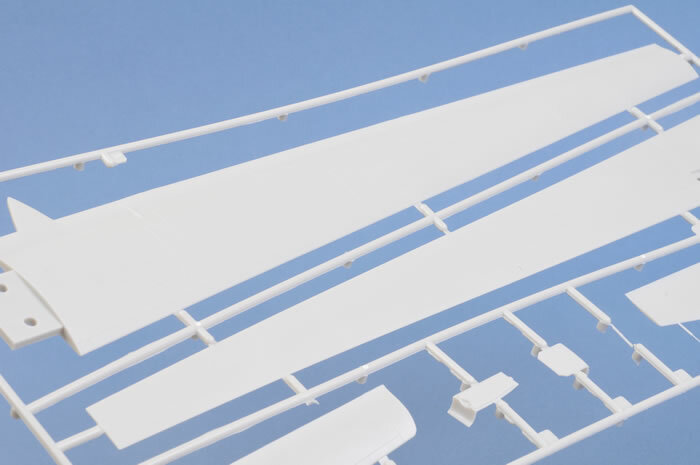 With a wing span of more than 80cm, it should certainly be an eye catching model in your shelf or in competition too!